Expedition 52/53 is one step closer to launch. 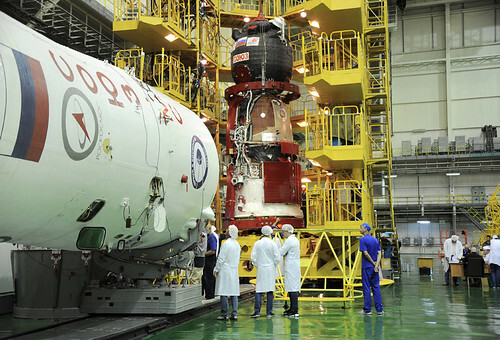 Their Soyuz 736/MS-05 launch vehicle has been loaded up with all the fluids, gases, and fuels they'll need to get them to the International Space Station. ESA astronaut Paolo Nespoli, cosmonaut Sergey Ryazansky and NASA astronaut Randy Bresnik are set for launch on 28 July from the Baikonur Cosmodrome.